Should I accept the highest offer on my home? What happens when you receive multiple offers on your property? Should you accept the highest offer? This is a great question and I recently faced the same dilemma myself. Last week, my husband and I listed personal property for sale and the same day we had five offers! All the offers were over the asking price and we were tempted to go with the highest price. The offers ranged from $1,000 over asking price all the way to $25,000 over asking. Sounds like an easy decision, right? Not so fast. After careful review it became apparent the highest offer was not the most favorable offer. All the offers were contingent on the buyer obtaining financing. Three of the offers had “pre-approval” letters and the other two had “pre-qualify” letters. (Note: pre-approval is further along in the process than “pre-qualify”). One of the pre-approval offers was going to pay 50% cash and finance the rest. 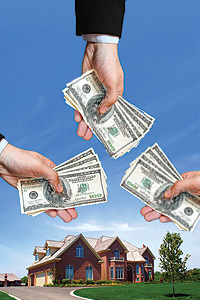 When buyers are obtaining a loan that means an appraisal is going to be required by the lender. The first question was what would the appraisal be? Although we didn’t know for sure, we did know what the comparable sales were for the last 6 months as well as the current listings. With this knowledge, we guessed the appraisal would come in a little under asking price. Assuming that was the case, how much out of pocket were the buyers willing/able to come? After speaking with the other agents, it was obvious only one seller could come out of pocket for the difference. This was not the highest bidder but the 3rd highest. The highest bidder was only willing to come out of pocket an additional $10,000. After quick math that took their actual offer below the bid we accepted. If we would have jumped at the highest offer we could have seen the deal fall apart in escrow. At that point the other buyers may have moved on to another property and we would have to start all over. Worse, the deal could be held up in escrow. In summary, a qualified agent and solid information can help you make an educated decision when reviewing multiple offers. The highest offer is not always the most favorable. What are the benefit to selling/closing my home before 2013? 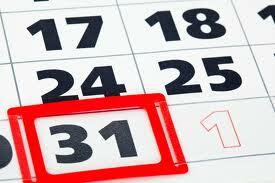 There are several benefits by getting your home purchase or sale closed before 2013. The first and most important is you will benefit from the Mortgage Debt Relief Forgiveness Act. This law exempts current homeowners from serious income taxes normally incurred when mortgage debt is forgiven – including in cases where an underwater home is sold short. A mortgage lender extends cash to a borrower when they make a mortgage on a home. If that debt is wiped out without actually being paid back, then the cash that was extended to that borrower is normally considered income by the IRS, and is taxed as such. But when the real estate market crashed, the federal government enacted this Act to eliminate the thousands and thousands of dollars of income taxes the average American who loses a home to foreclosure or short sale would otherwise incur. This Act is set to expire on December 31, 2012. Most industry insiders expect it will be extended before that time, but growing numbers are surprised it hasn’t already been. And with the upcoming election, some are unsure what will happen.